Levi's Sherpa jacket retails for $128 at Shopbop. 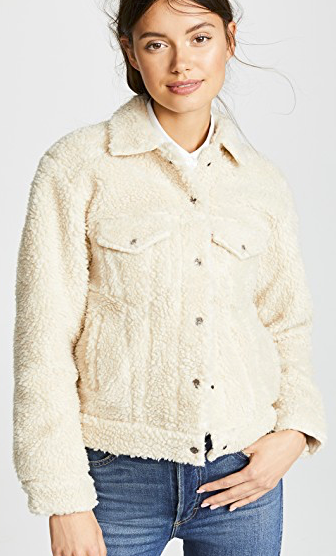 I found a great alternative for this jacket, for $34.99 (buy one get one 60% off of all clothing/shoes/accessories, and 15% off today only!). Click HERE to view or purchase!